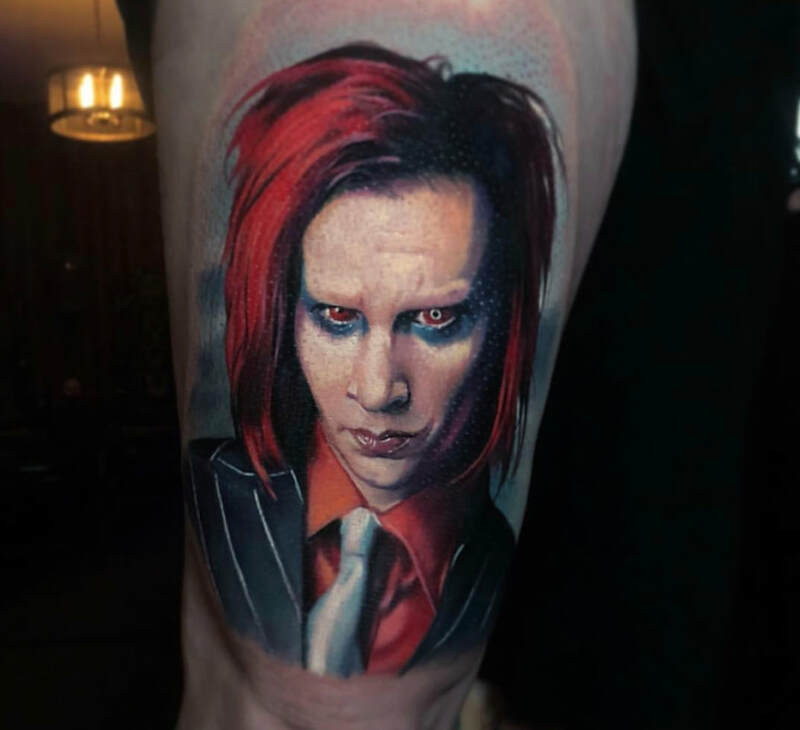 He has been tattooing since 2000. 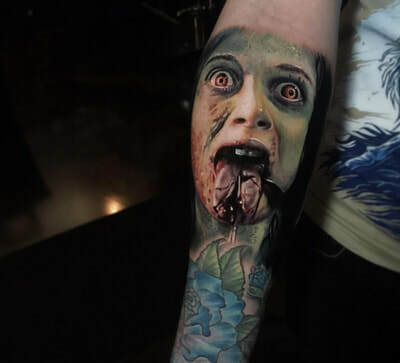 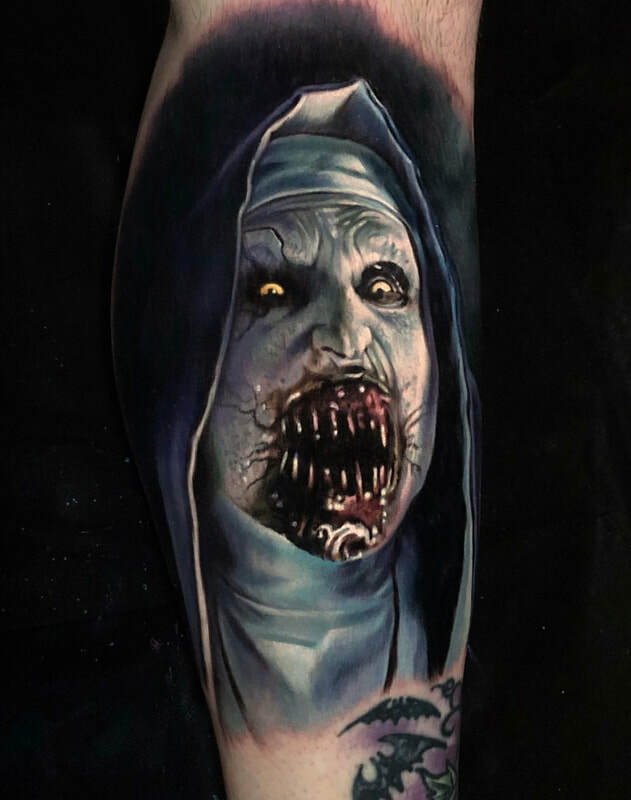 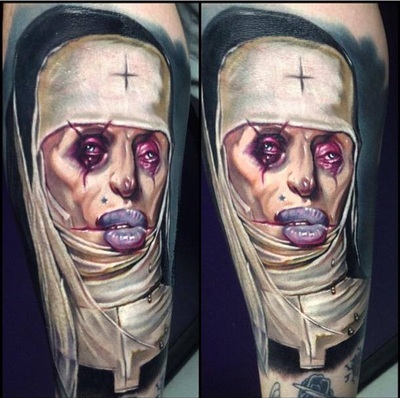 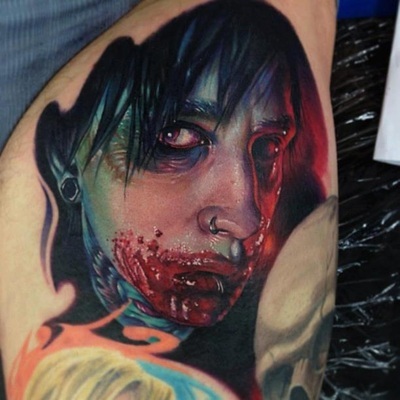 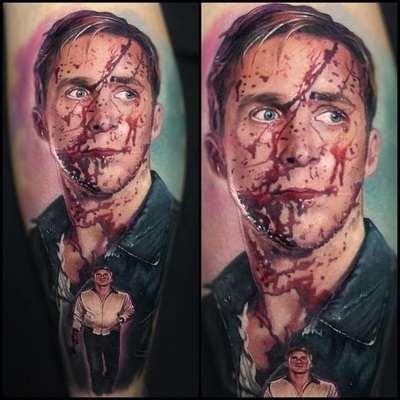 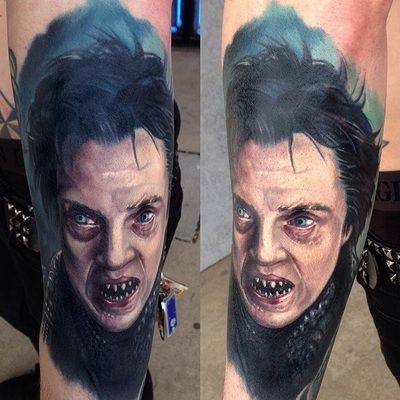 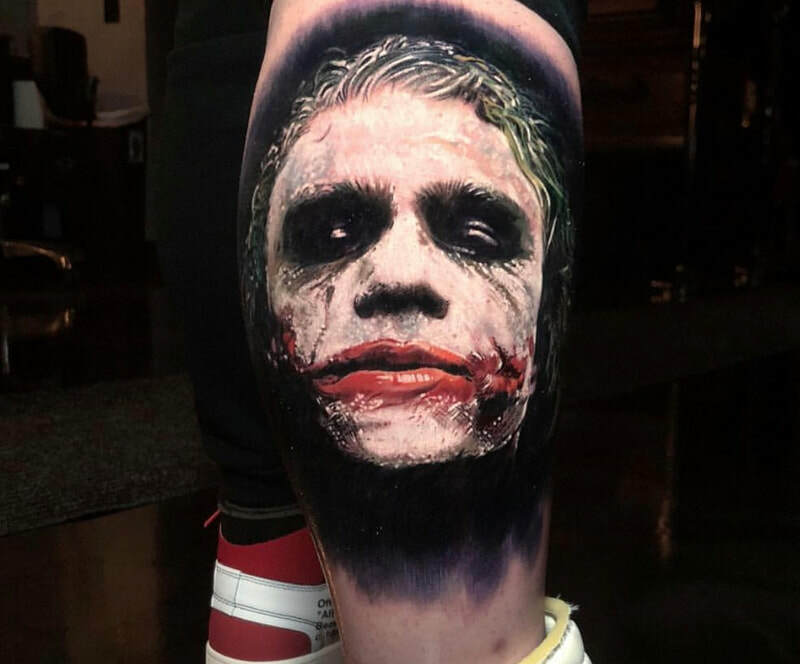 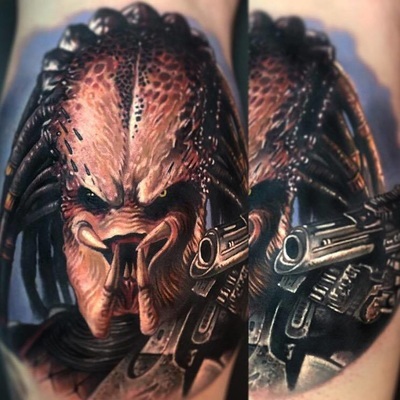 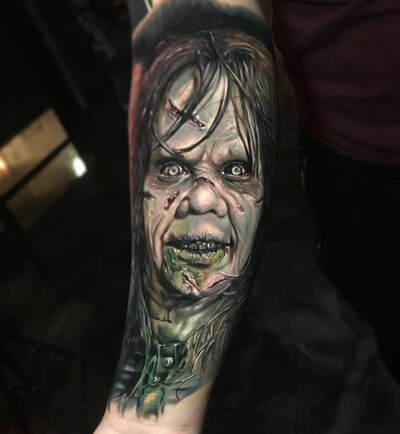 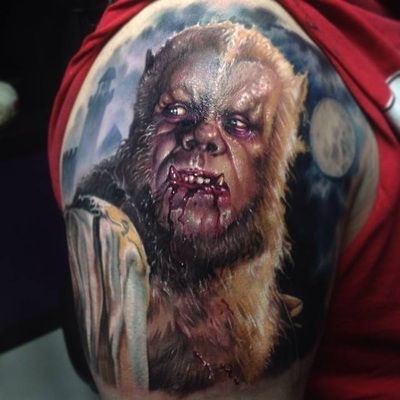 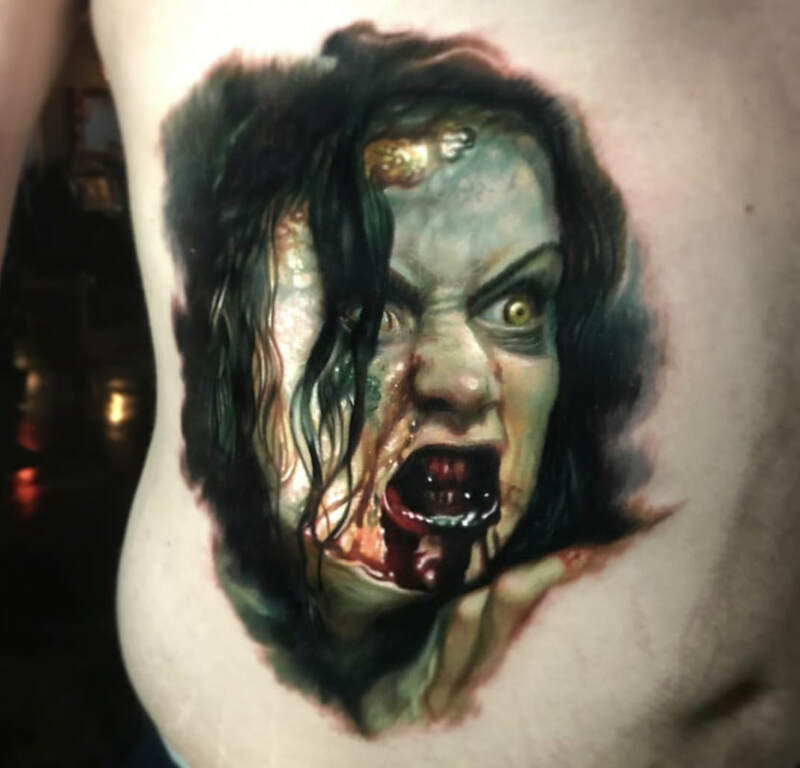 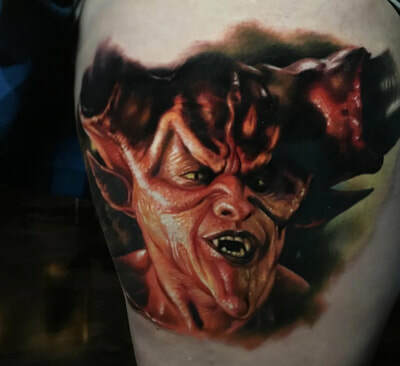 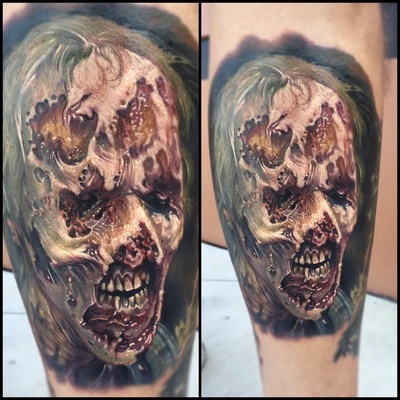 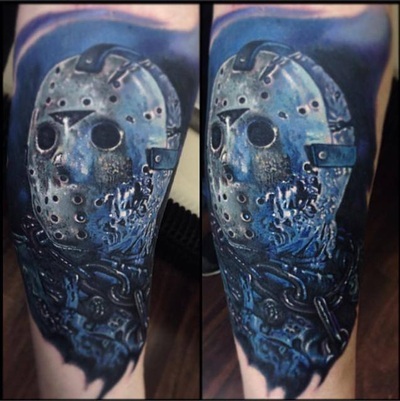 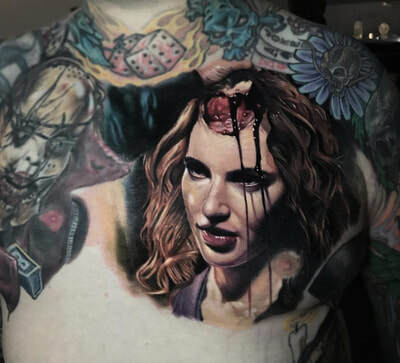 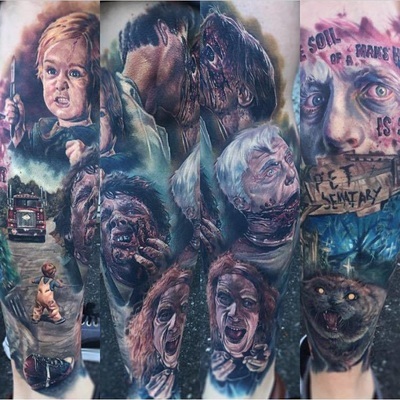 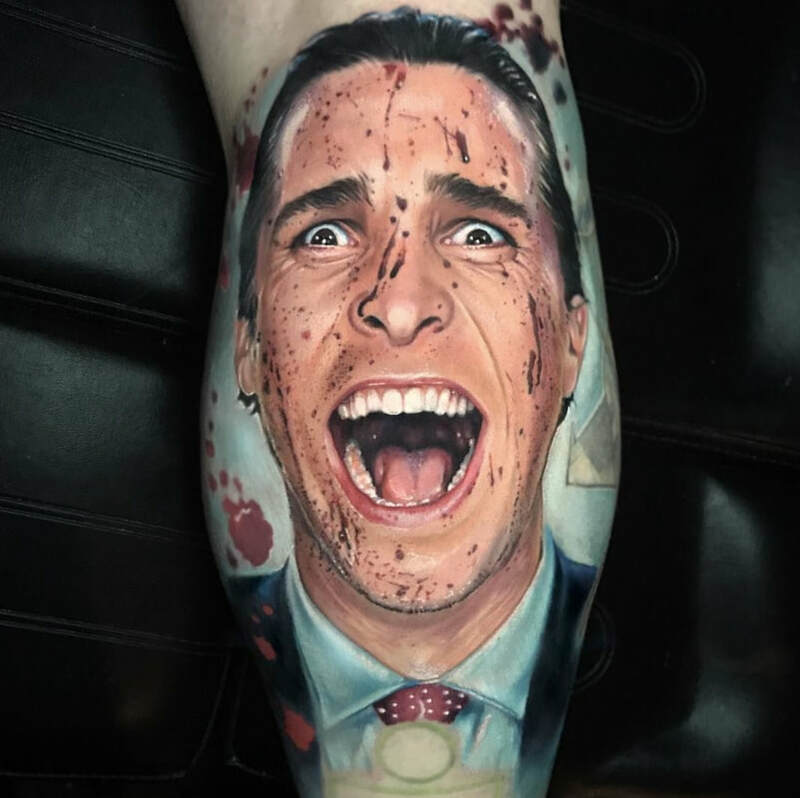 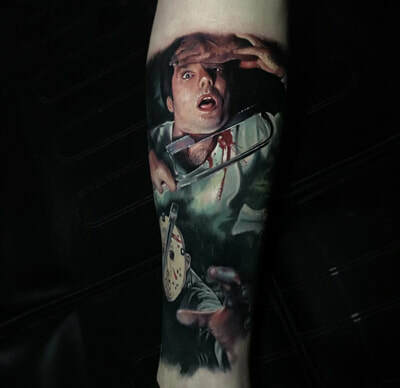 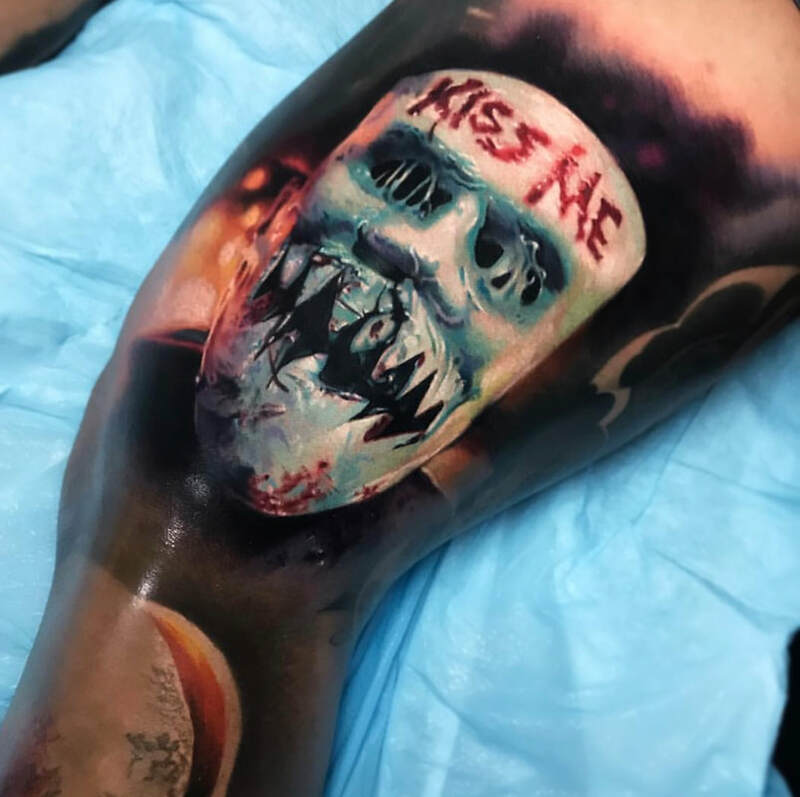 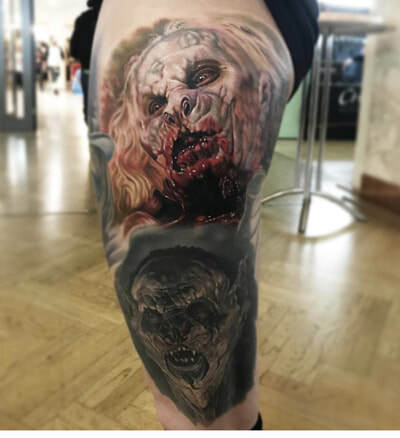 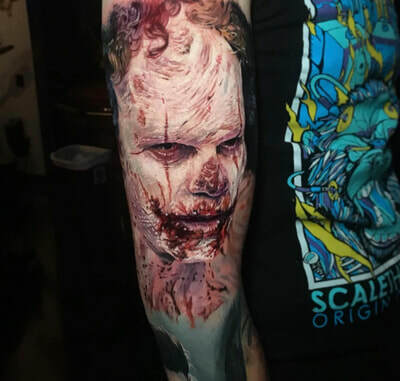 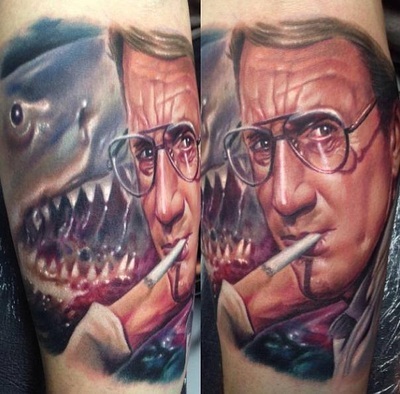 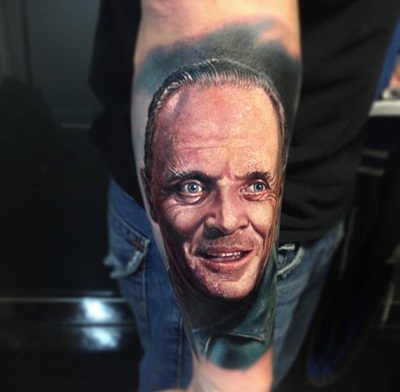 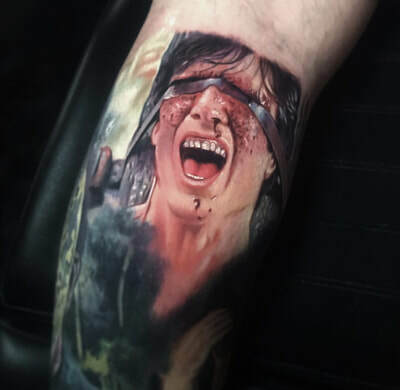 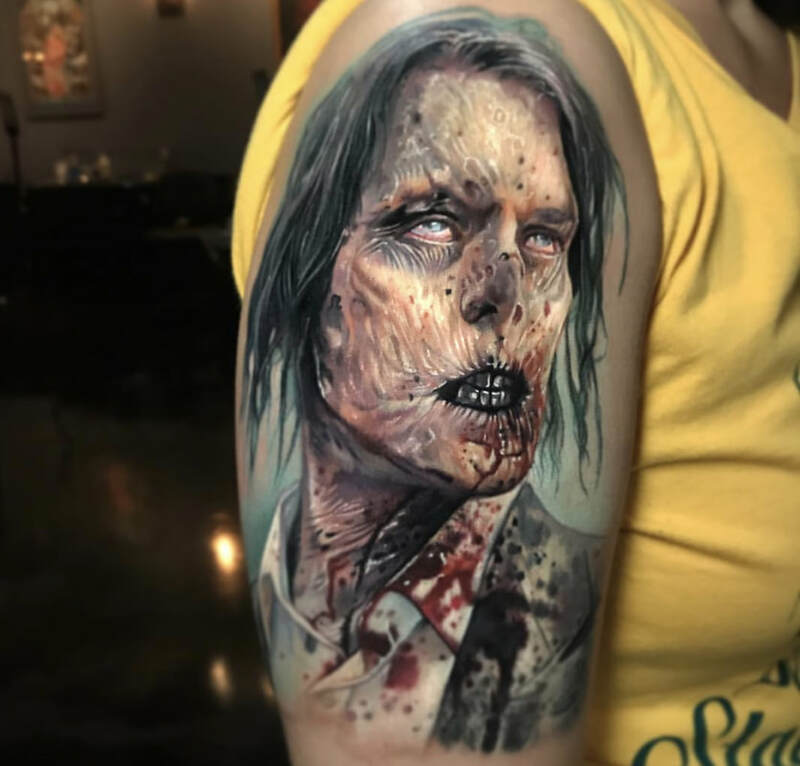 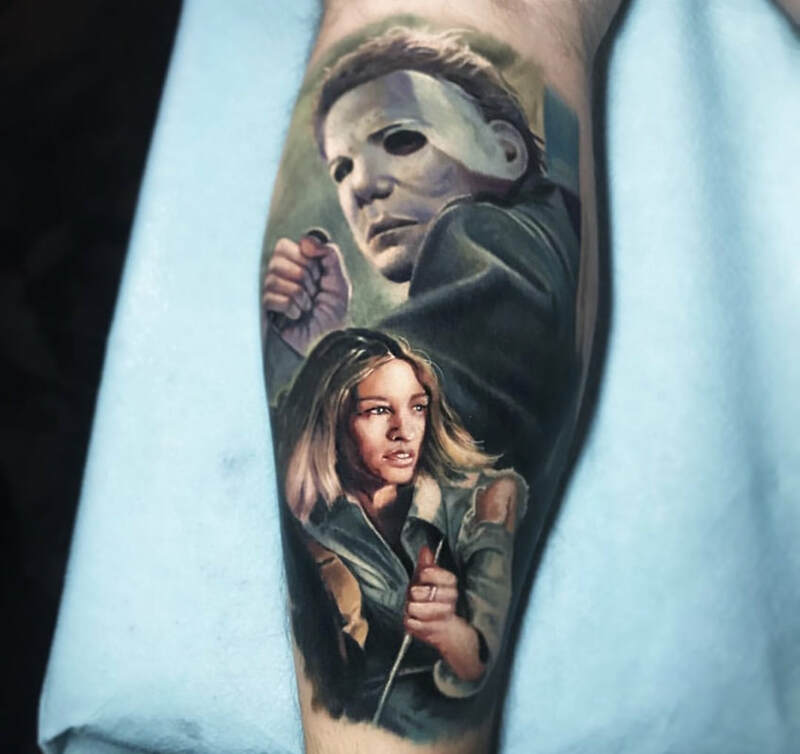 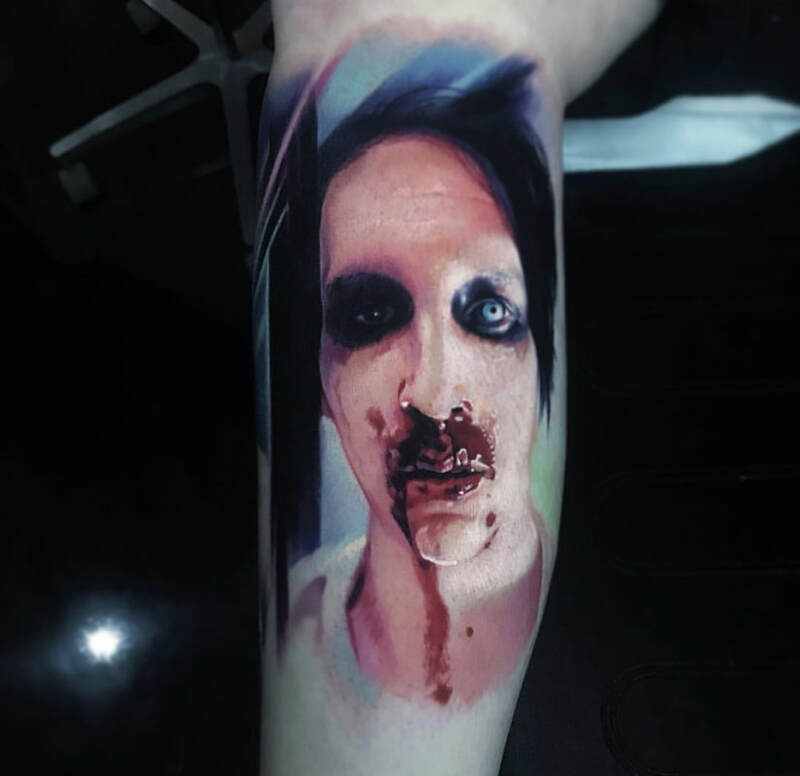 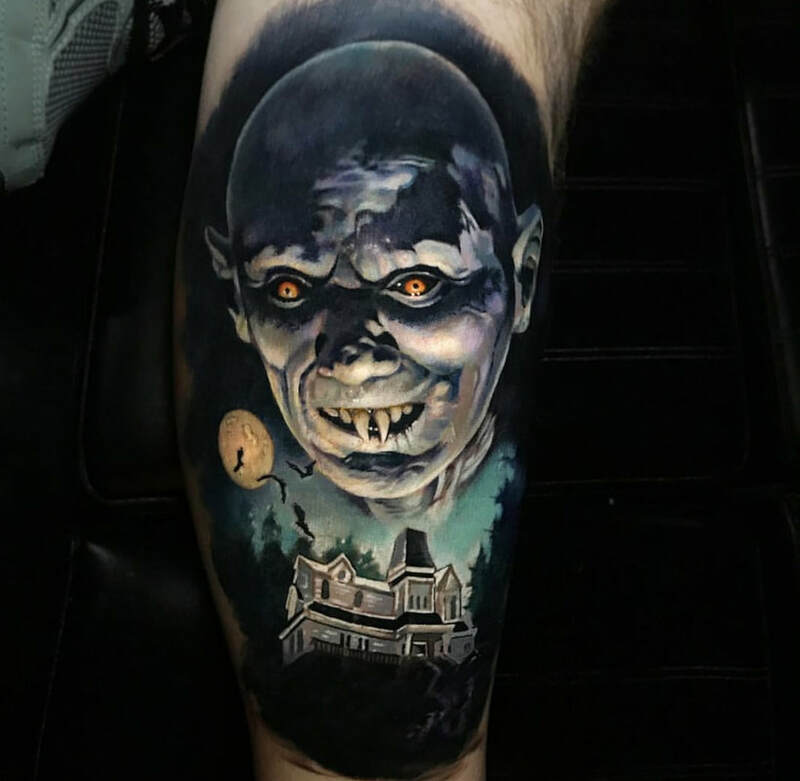 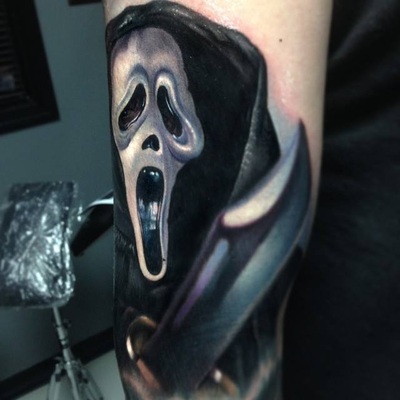 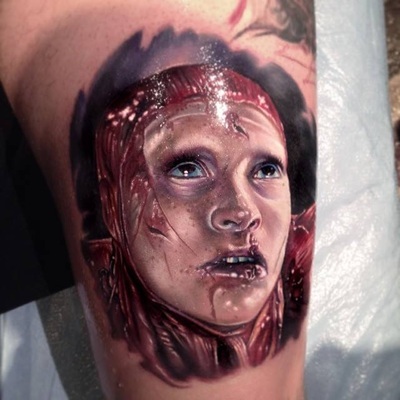 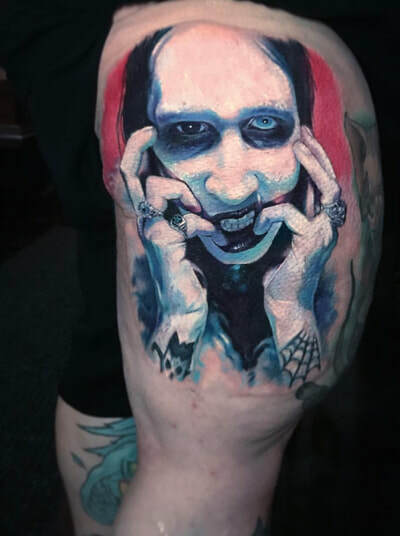 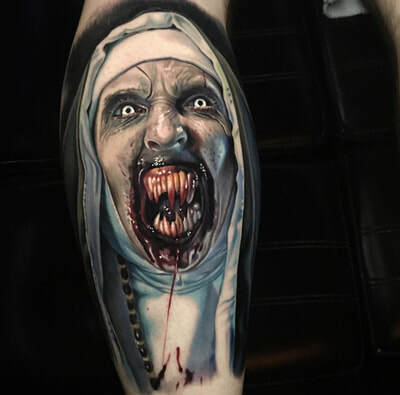 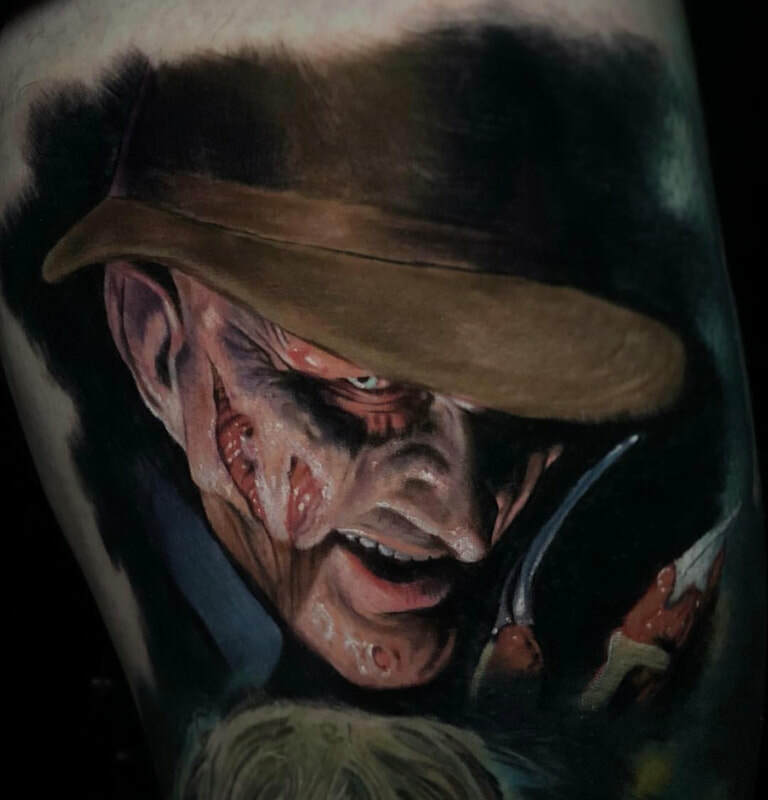 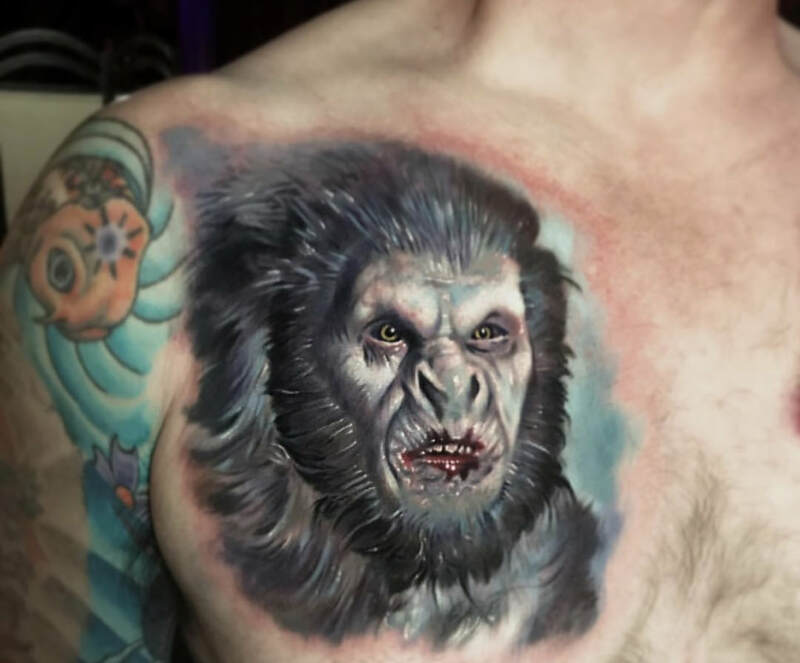 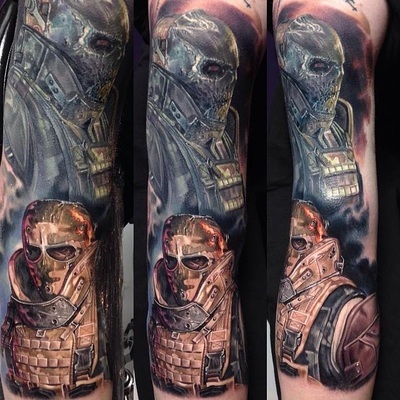 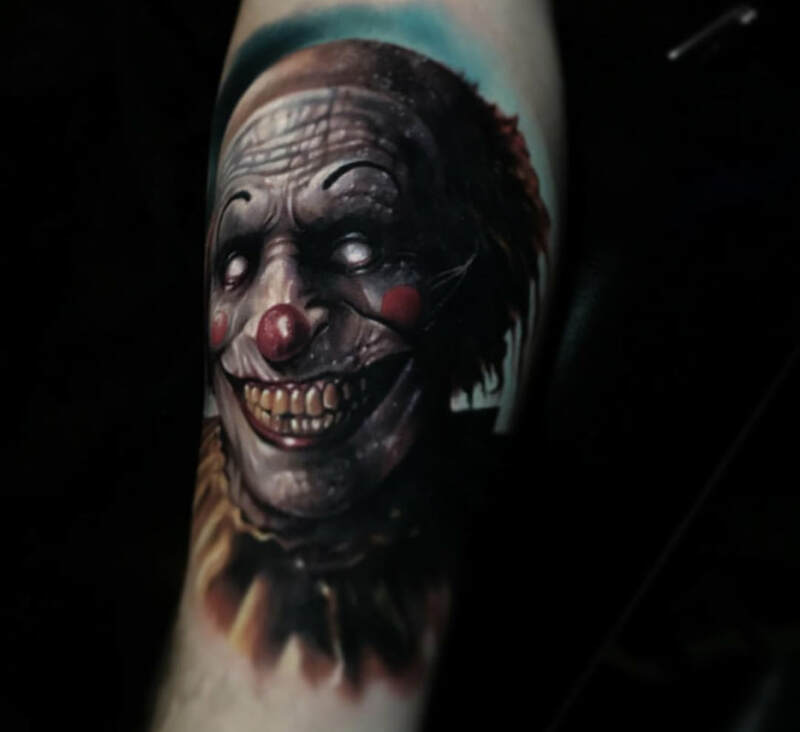 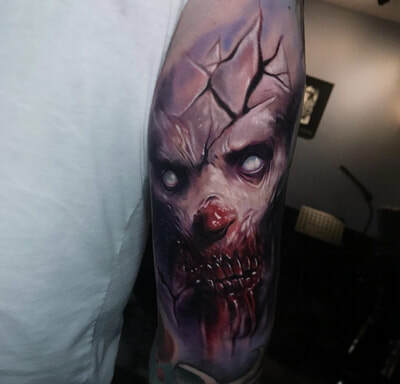 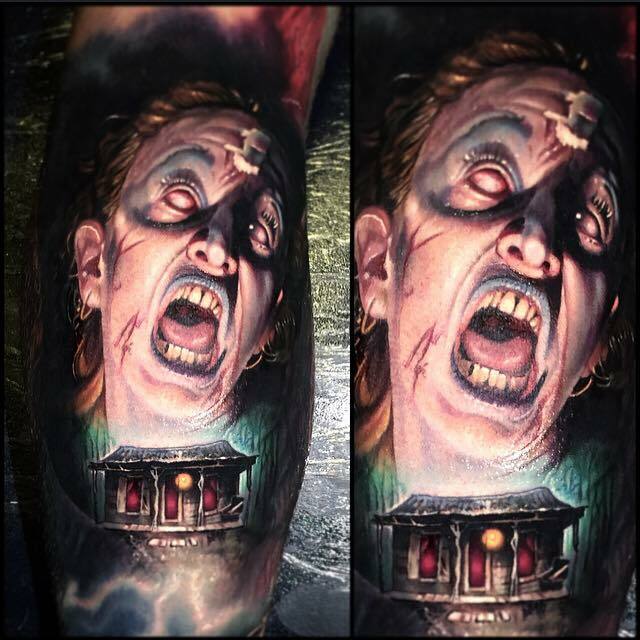 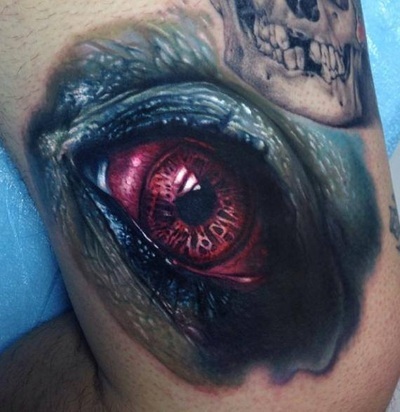 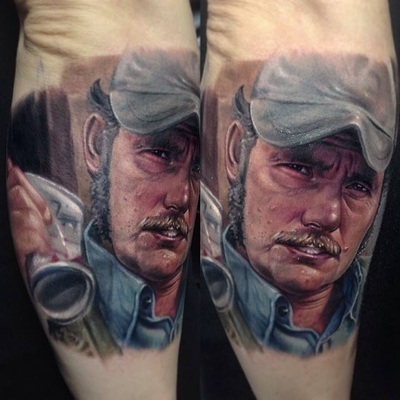 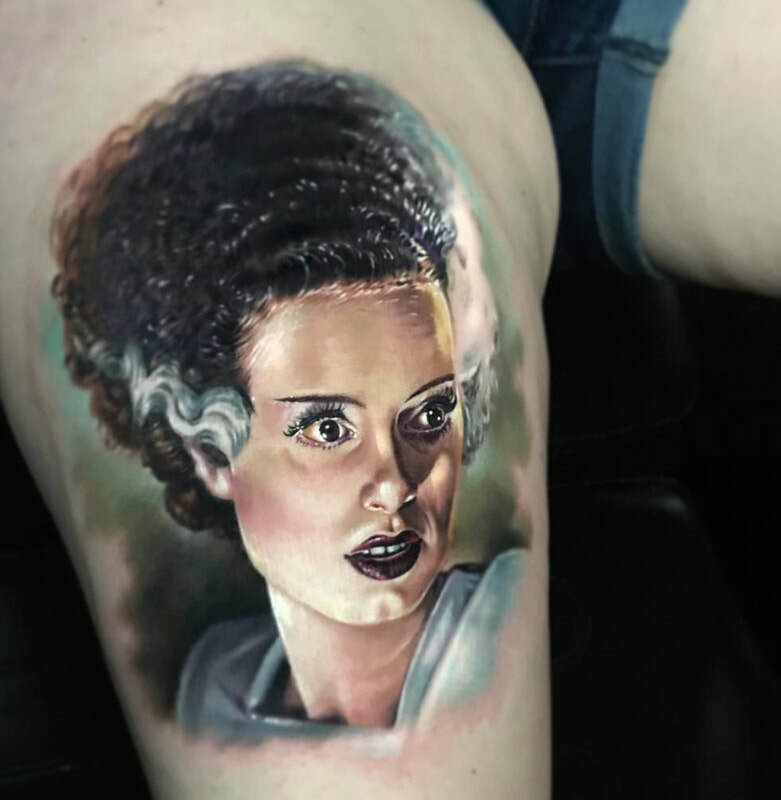 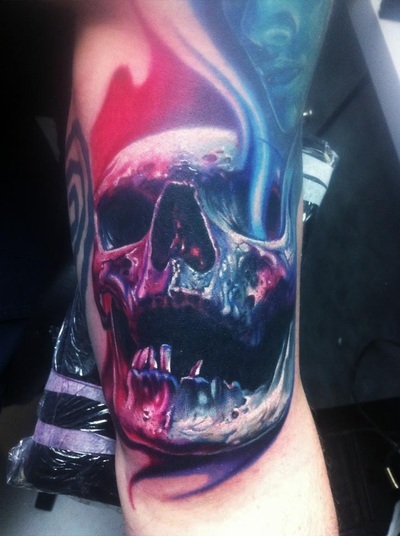 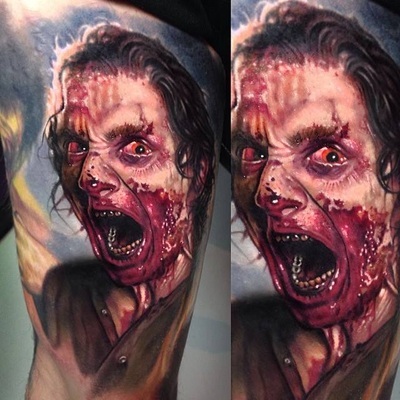 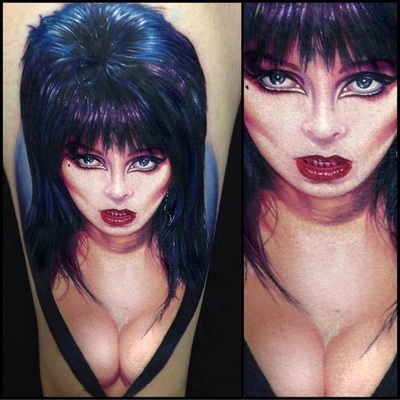 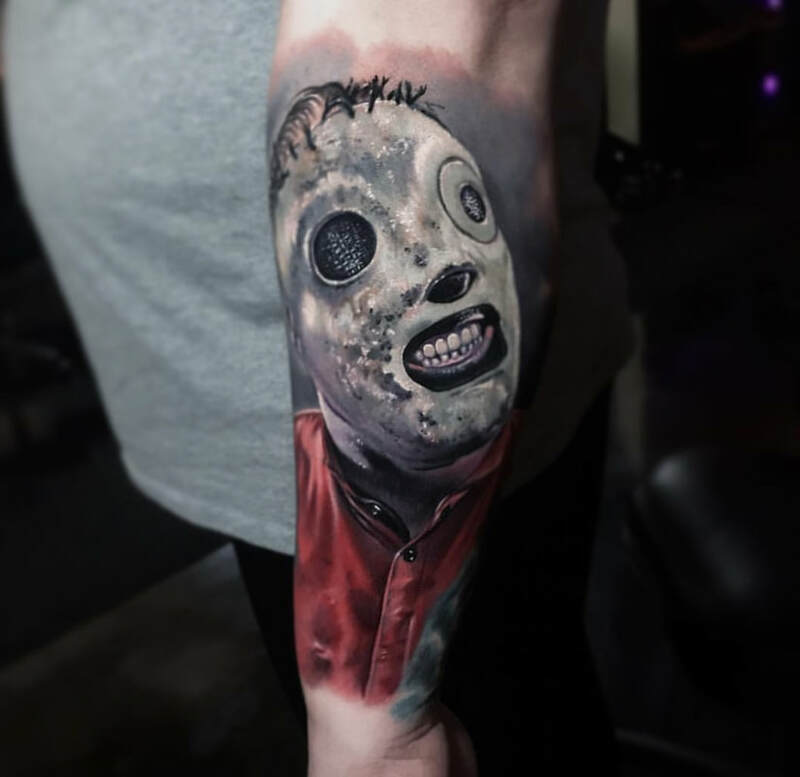 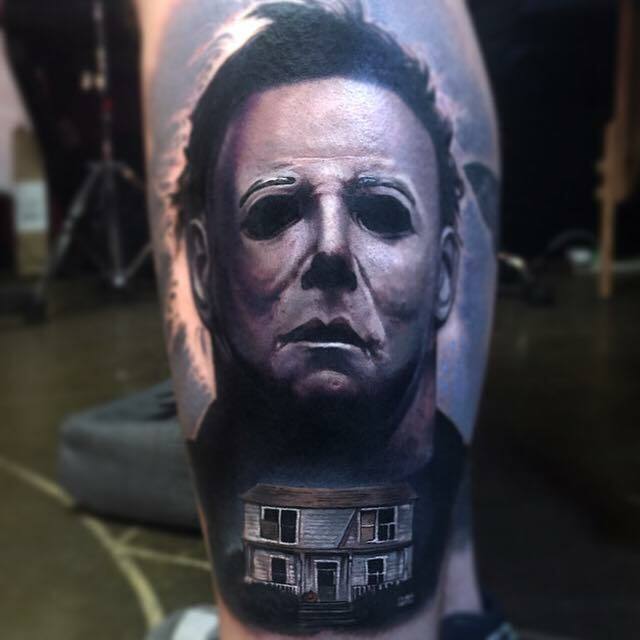 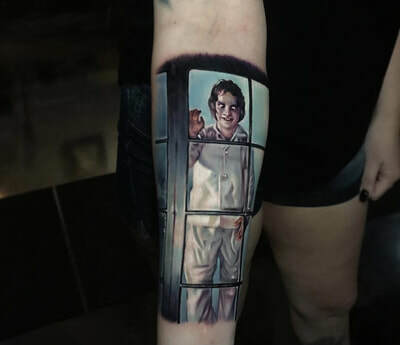 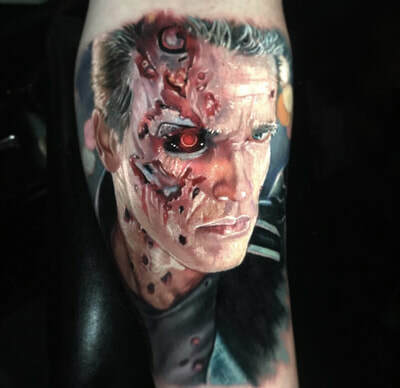 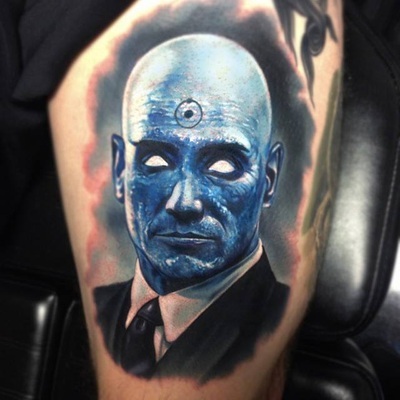 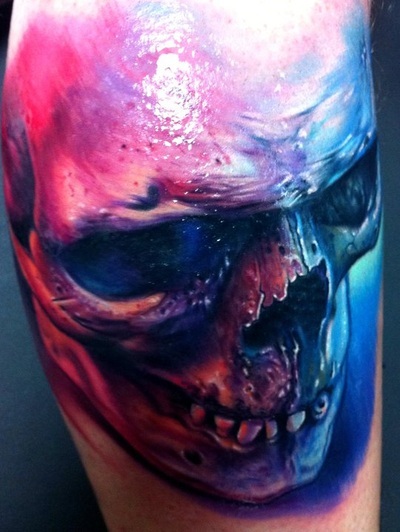 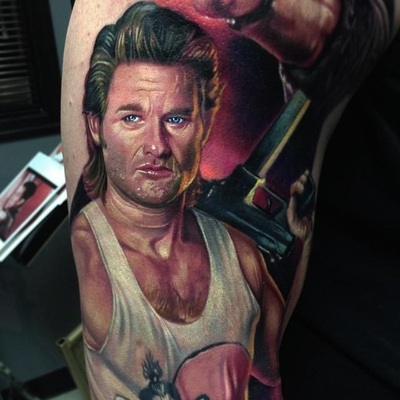 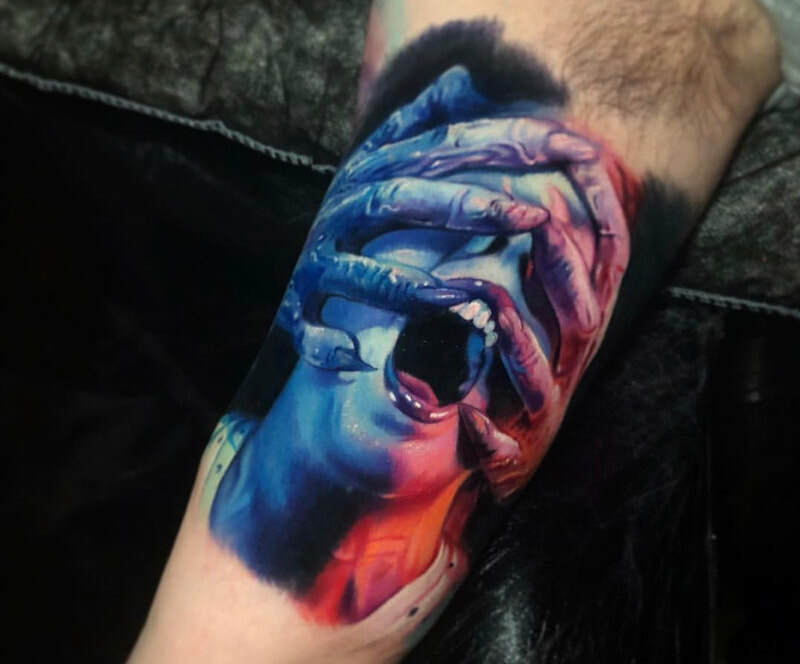 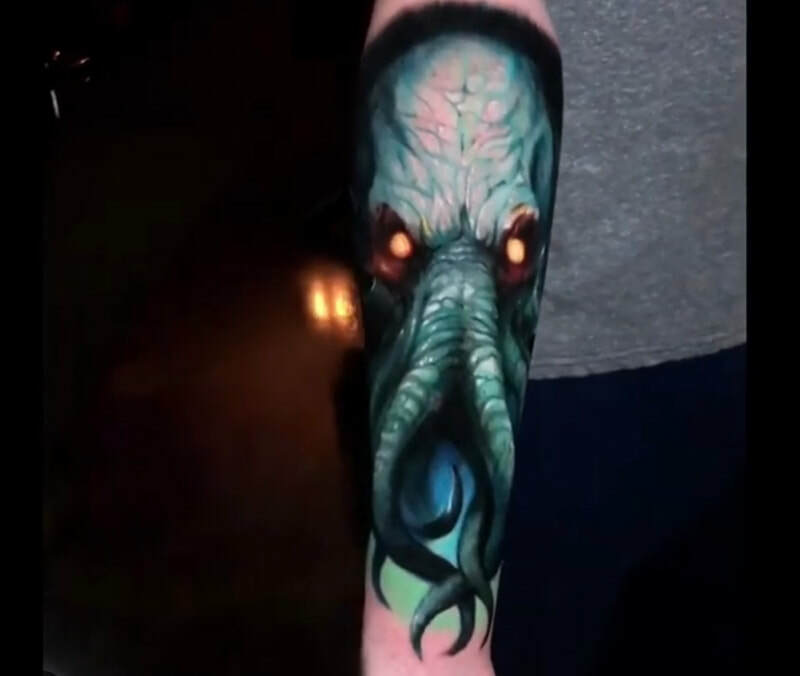 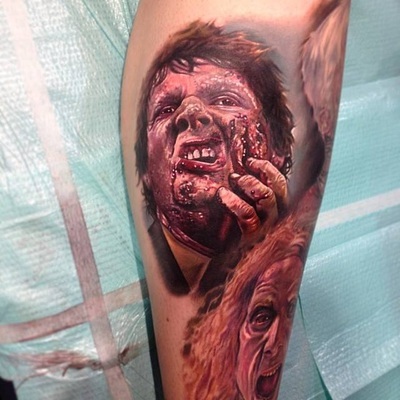 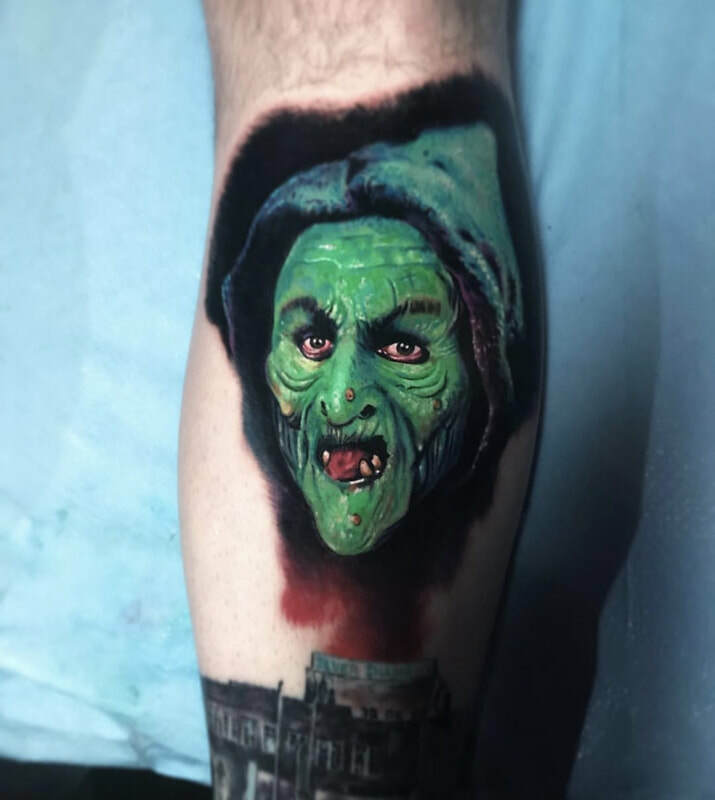 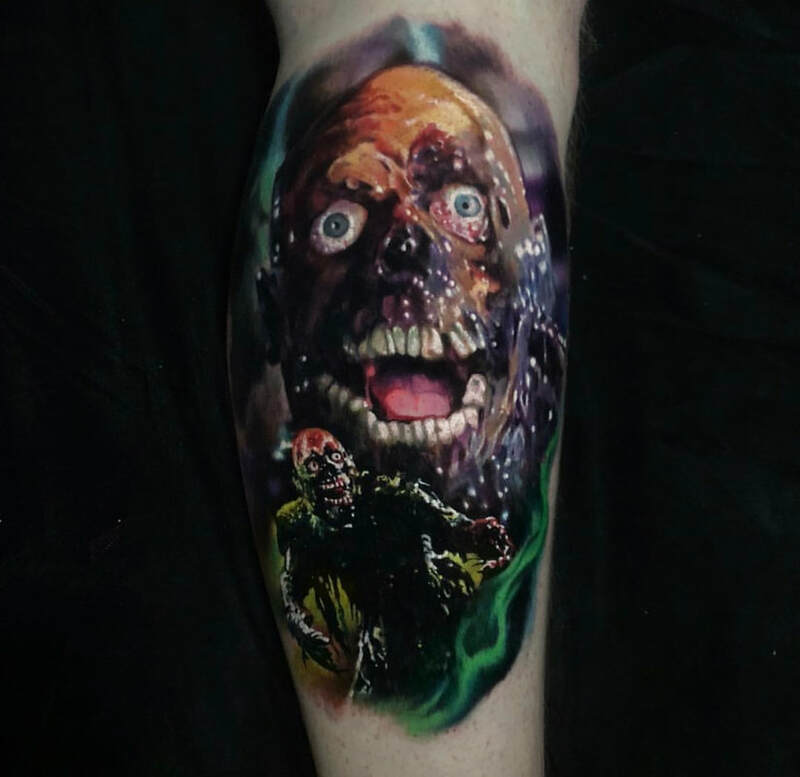 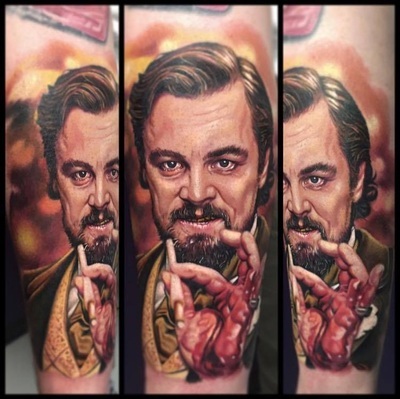 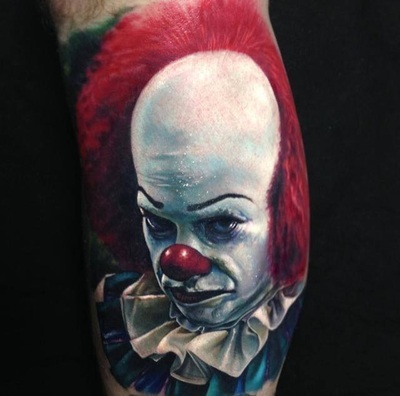 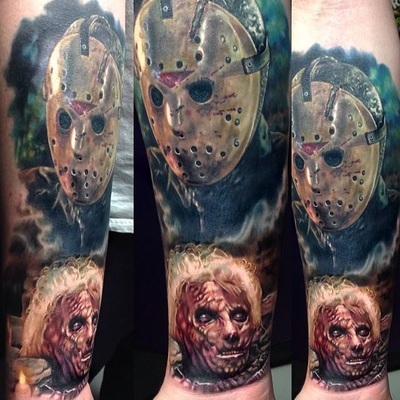 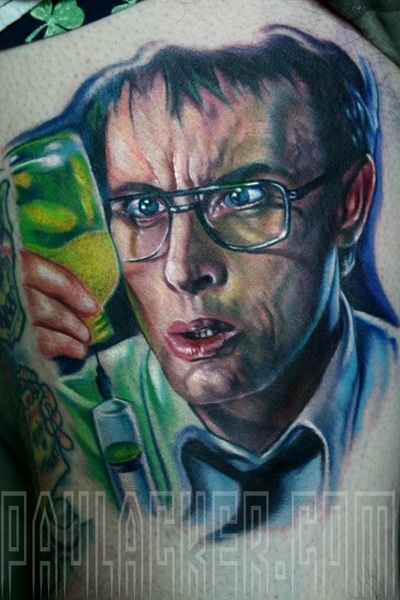 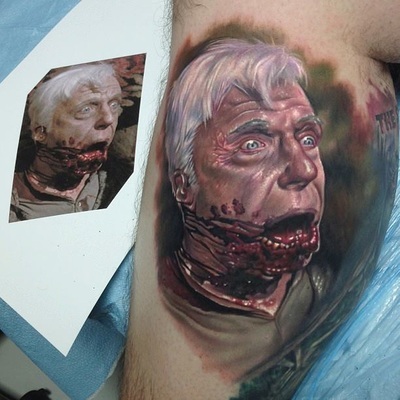 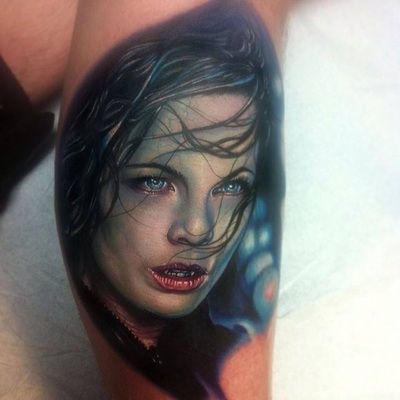 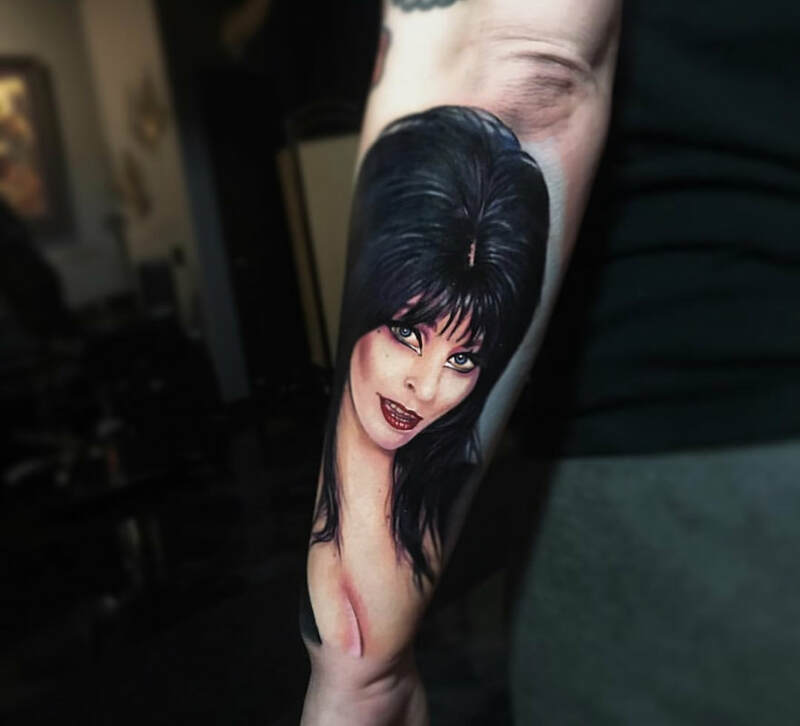 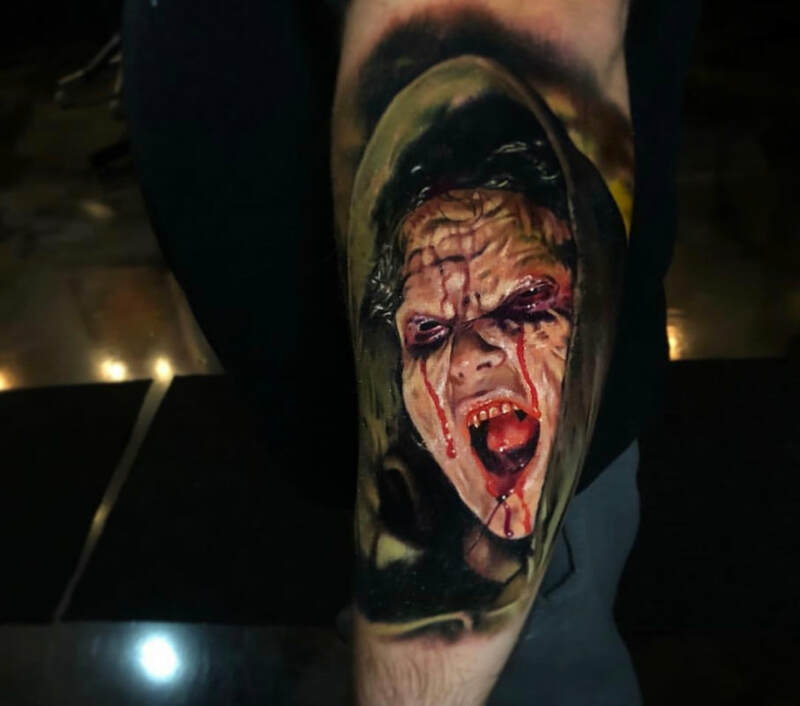 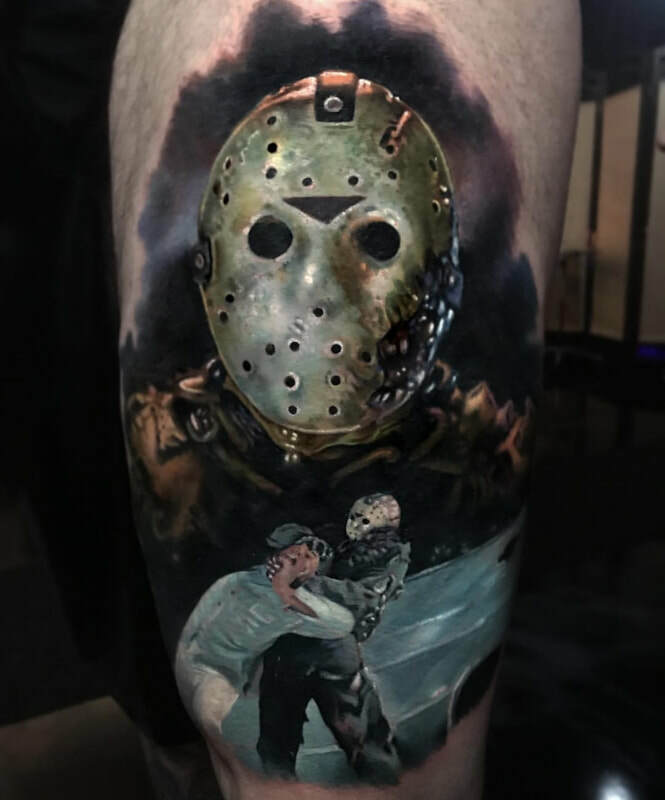 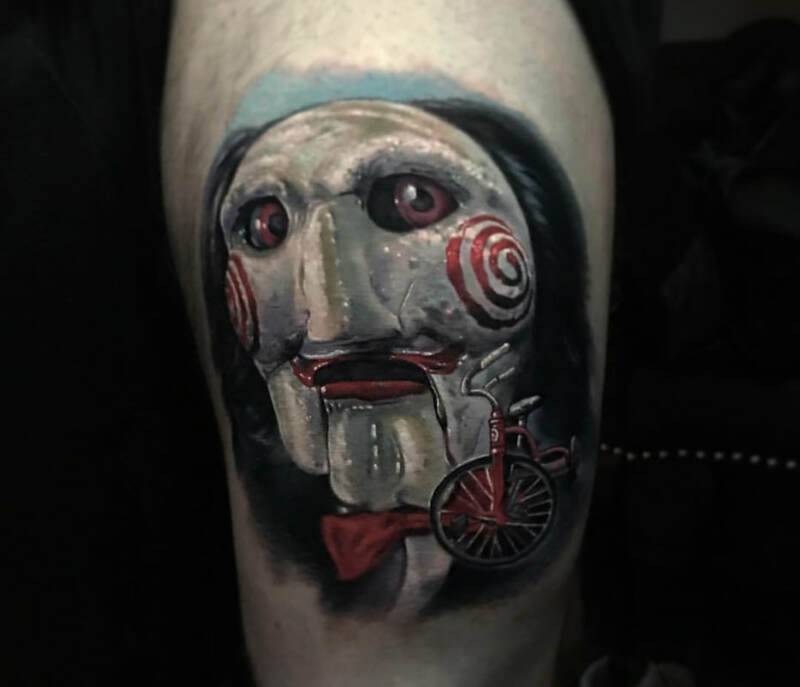 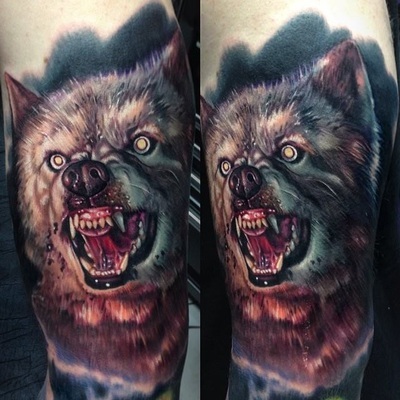 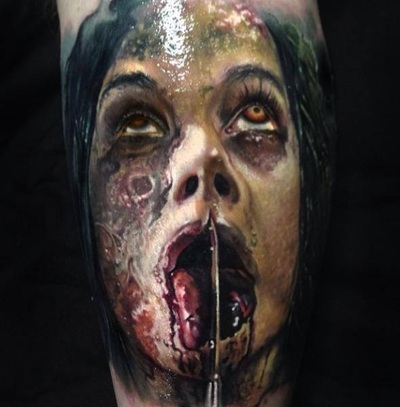 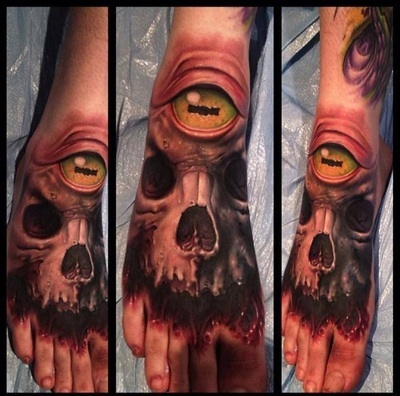 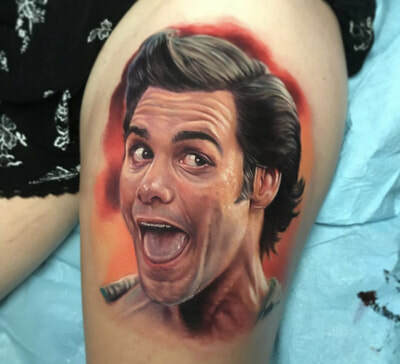 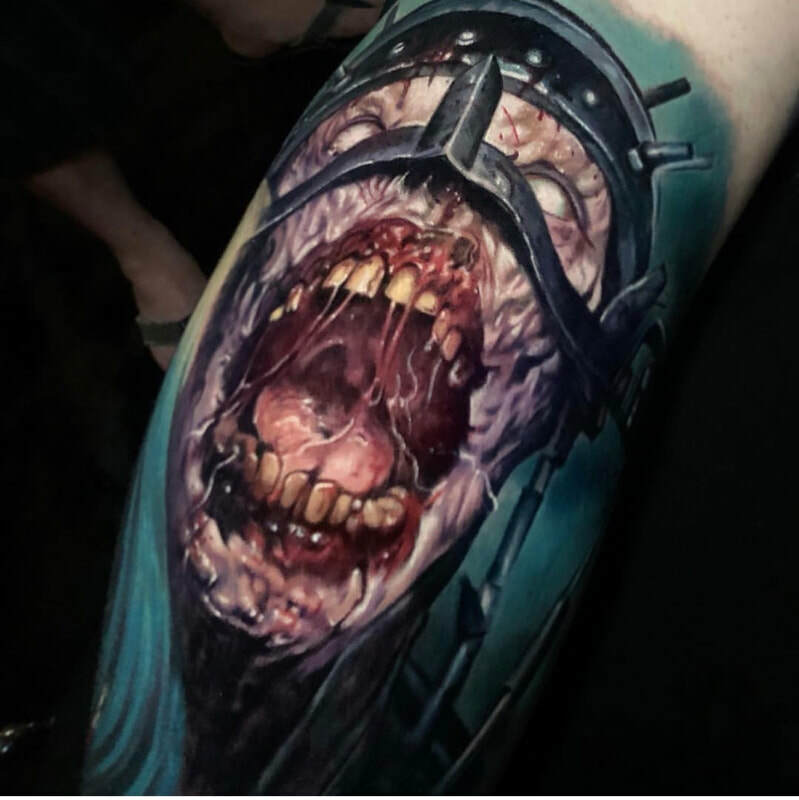 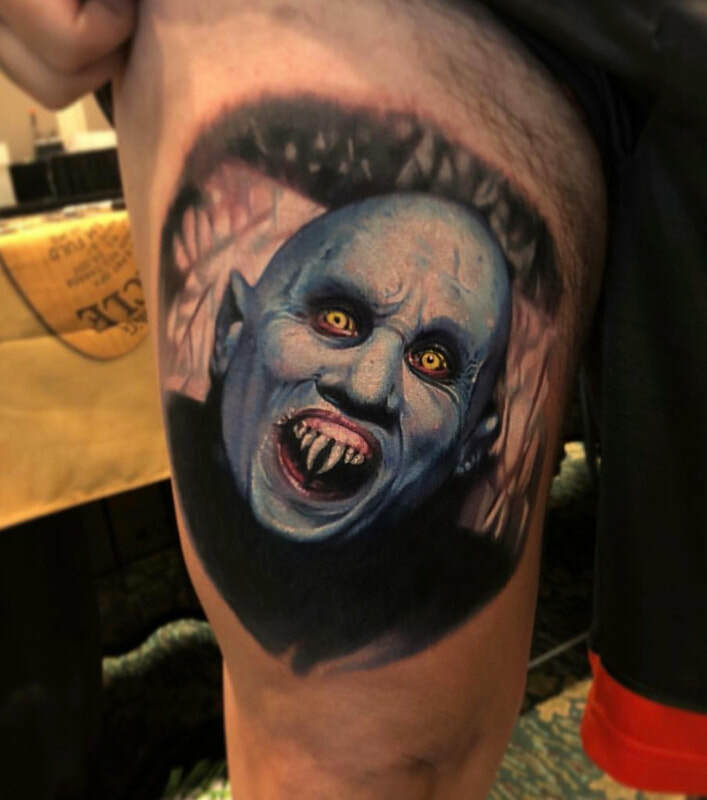 His favorite style to tattoo is horror color realism. 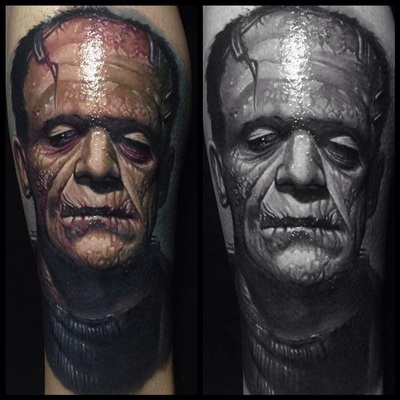 As of 2014, Paul is not tattooing any black & grey Portraits (family members, etc). 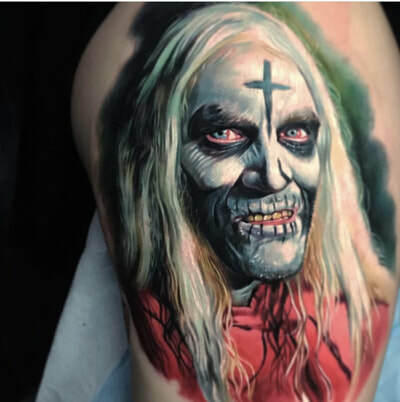 Paul is also not tattooing any color portraits of family members at this time. 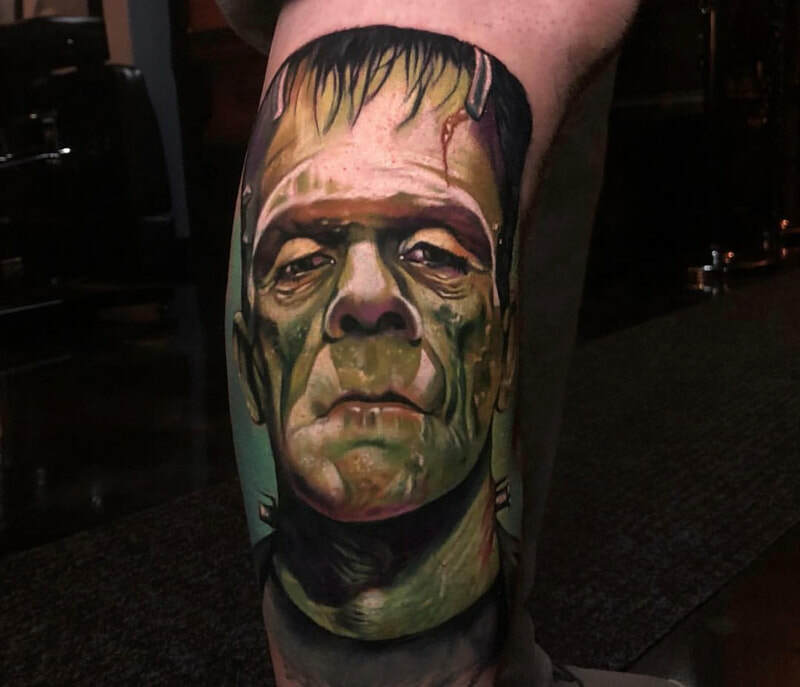 Please check out Paul Marino's work. 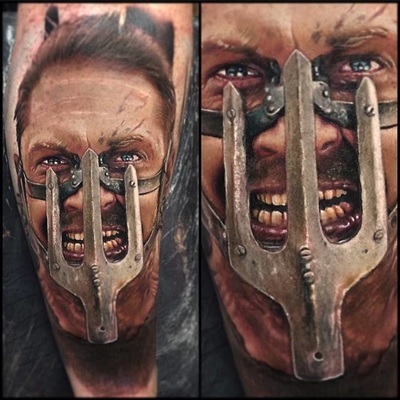 Paul chooses the tattoos he wants to do based off of the client's idea. 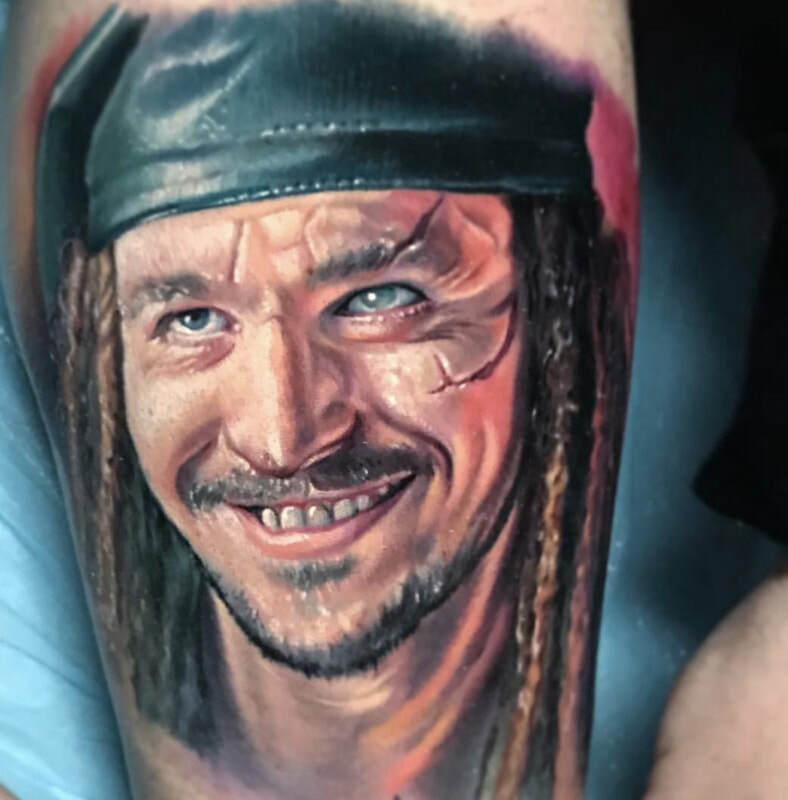 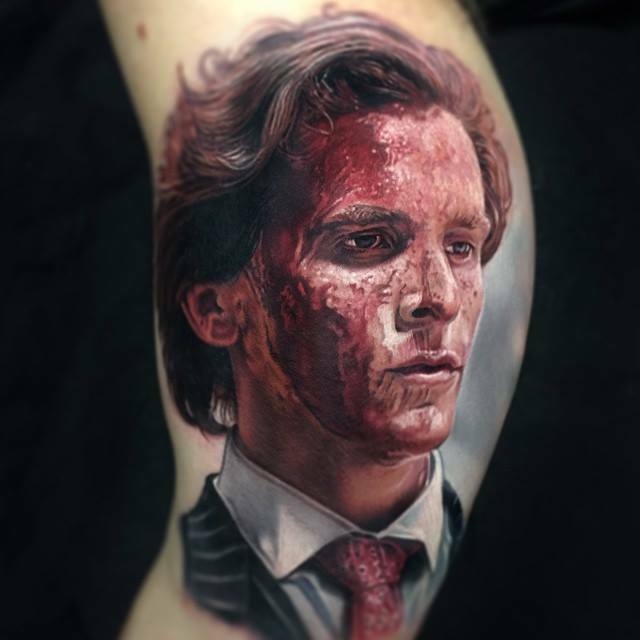 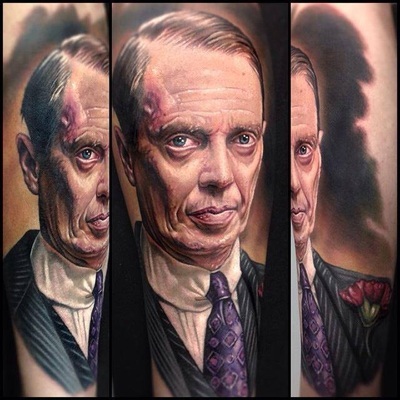 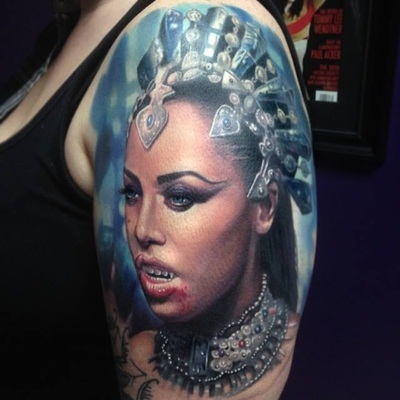 It must be horror related, or tv/movie character related portraiture. 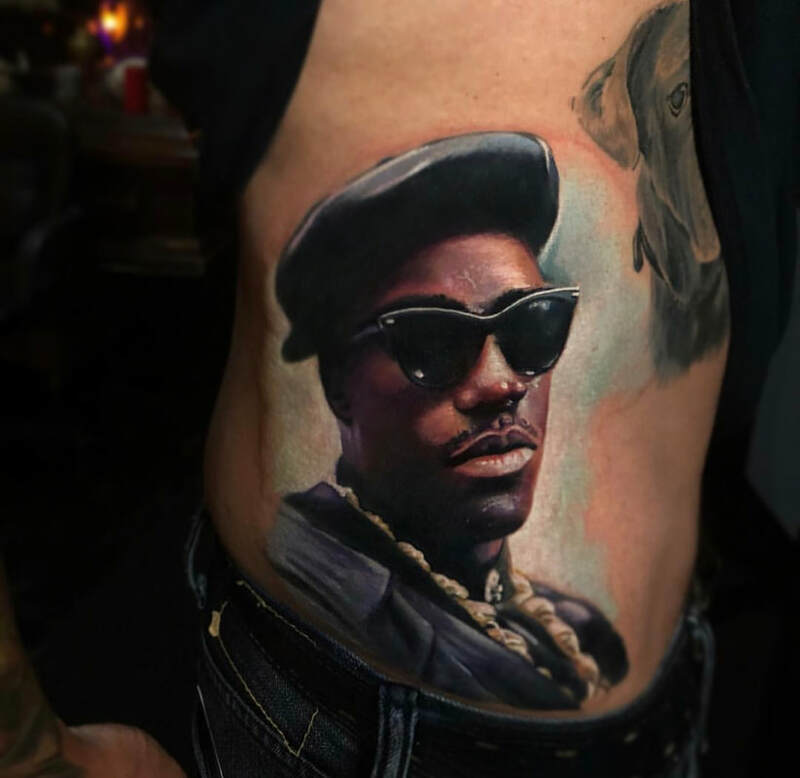 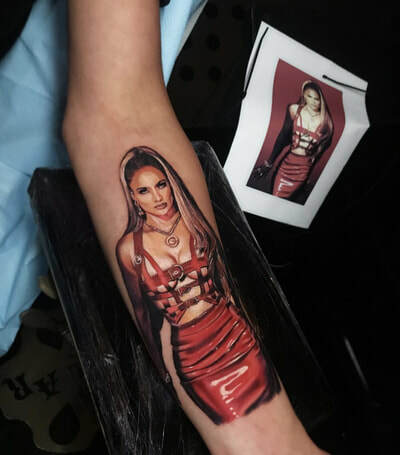 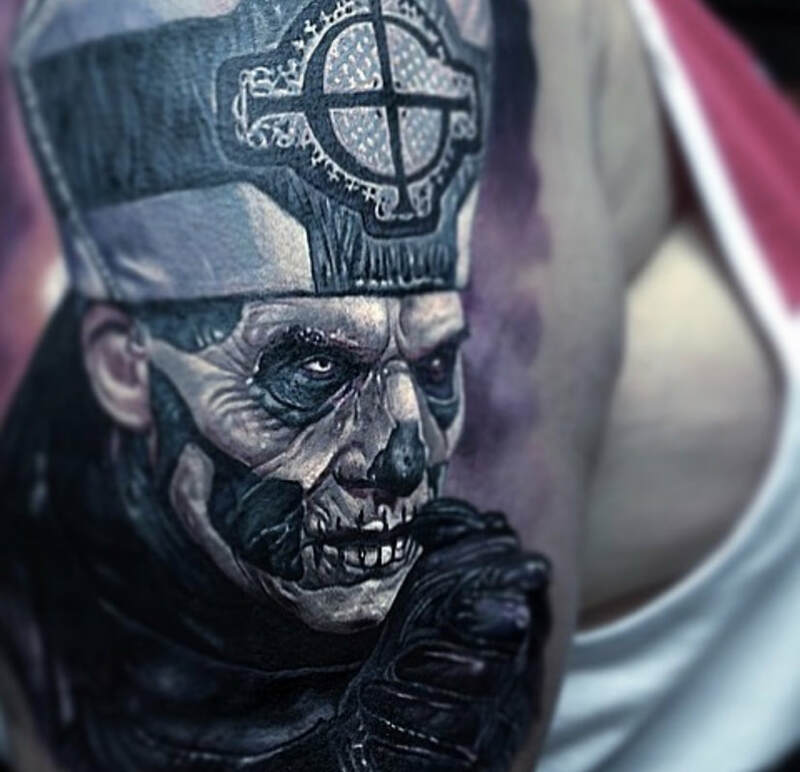 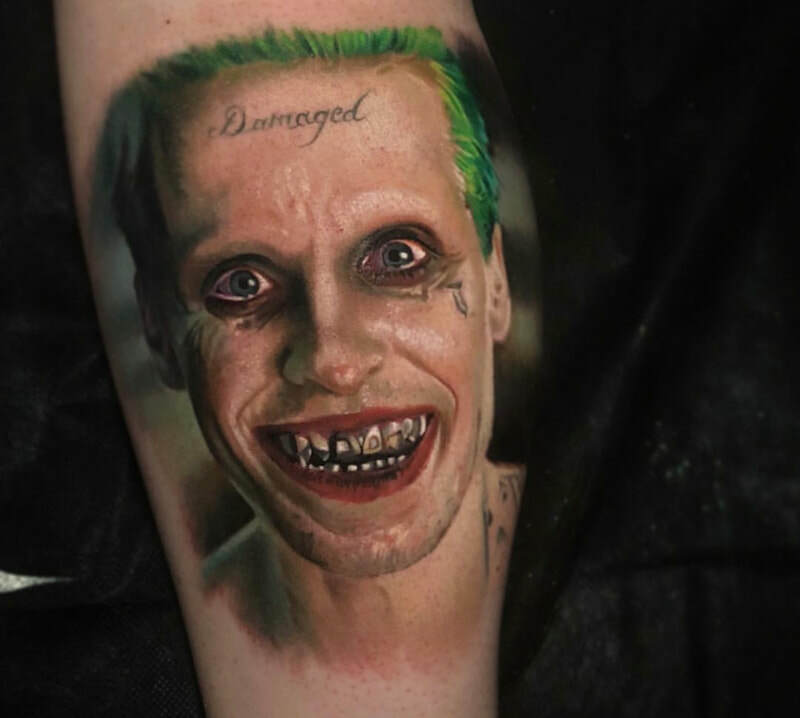 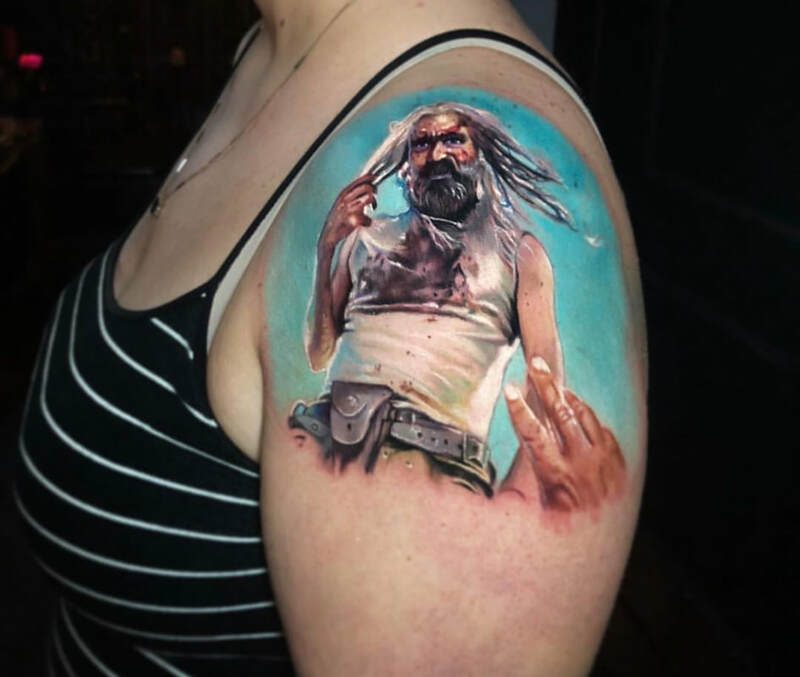 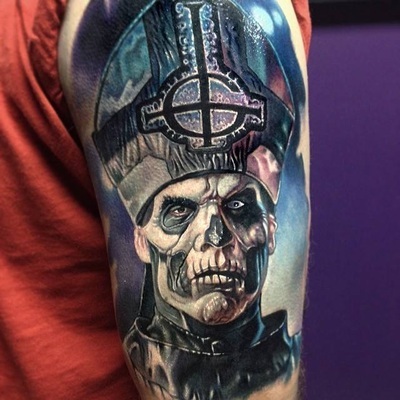 He does not tattoo any album artwork *or* religious tattoos. He will not finish a tattoo started by another artist. 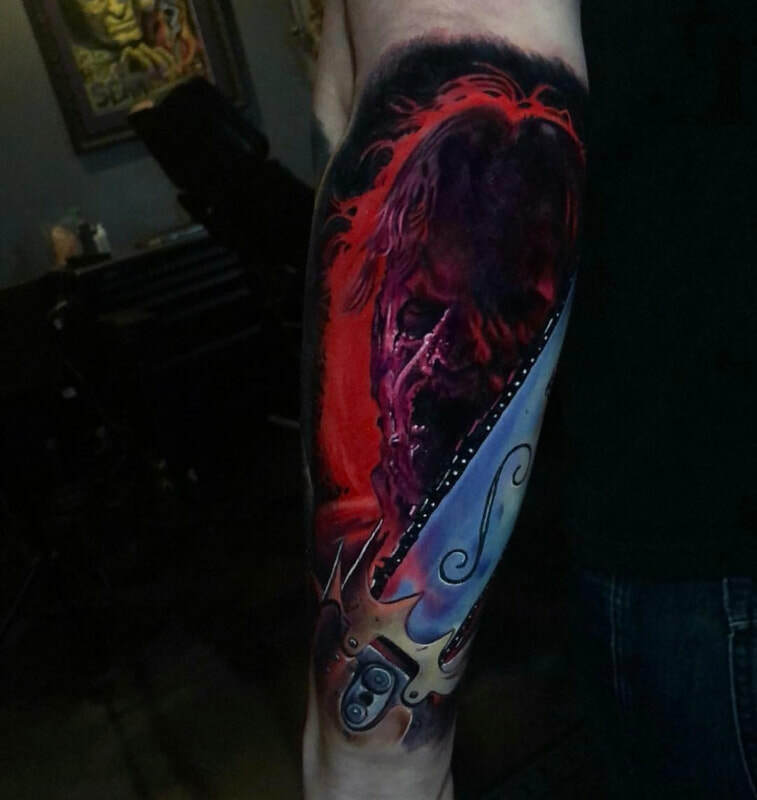 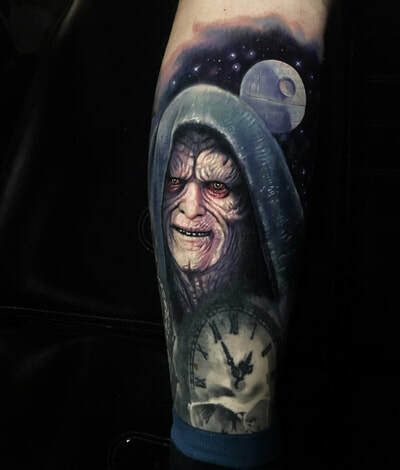 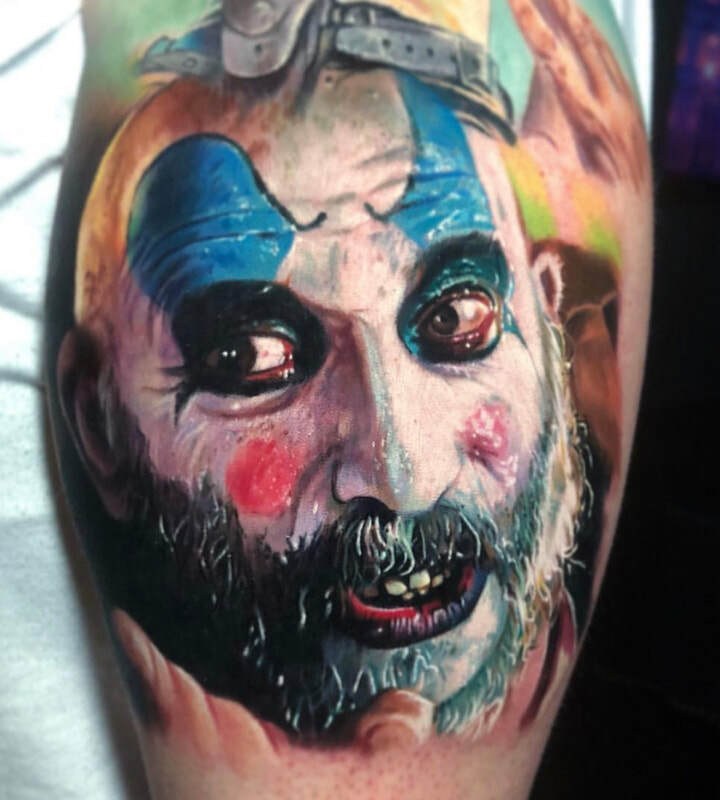 He is also not looking to do any Pinhead, Chucky, or Freddy tattoos right now as he has already tattooed them many times. 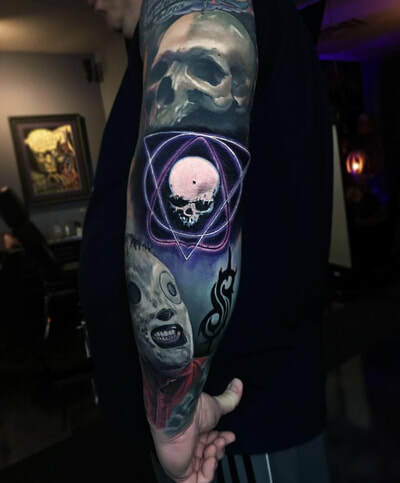 Also no Nightmare Before Christmas tattoos, No "Heaven vs Hell"/"Good vs Evil" themes. 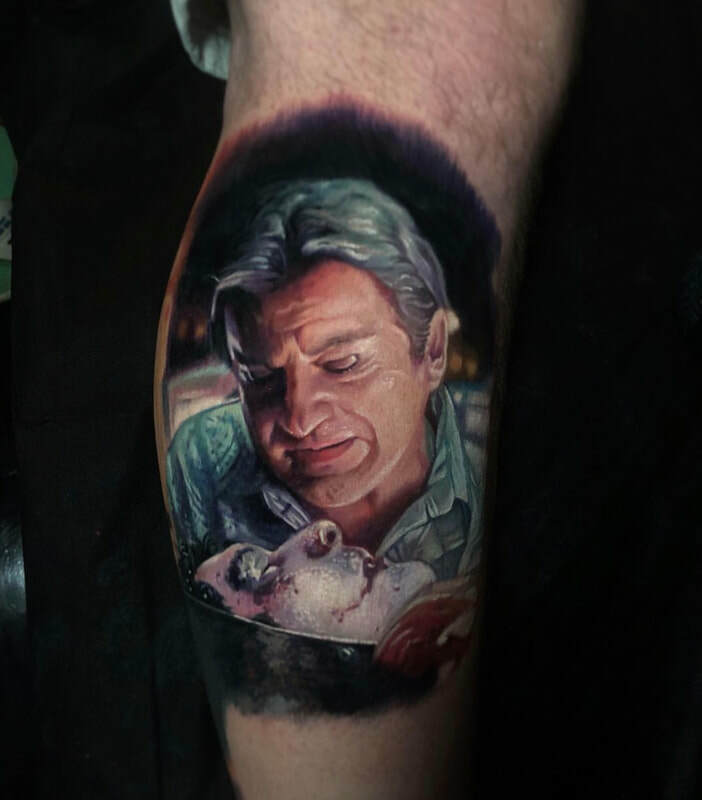 Paul charges a flat day rate for a completed portrait which usually takes anywhere from 6-8 hours. If you believe your idea is something Paul would be interested in tattooing, please fill out the contact form with your idea. unfortunately it is probably not something Paul wants to do at this time. 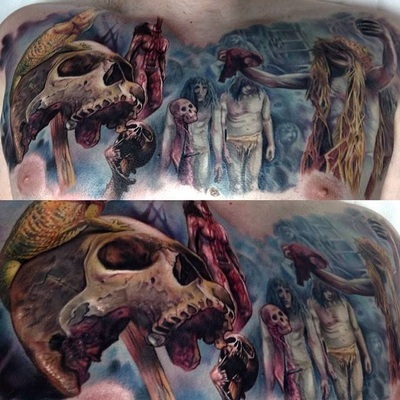 You can find a list of the Tattoo Conventions Paul is attending in the 'Conventions' section of the website. 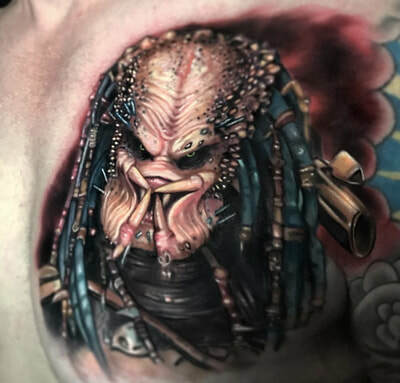 Paul uses the same criteria listed above to book appointments for tattoo conventions. 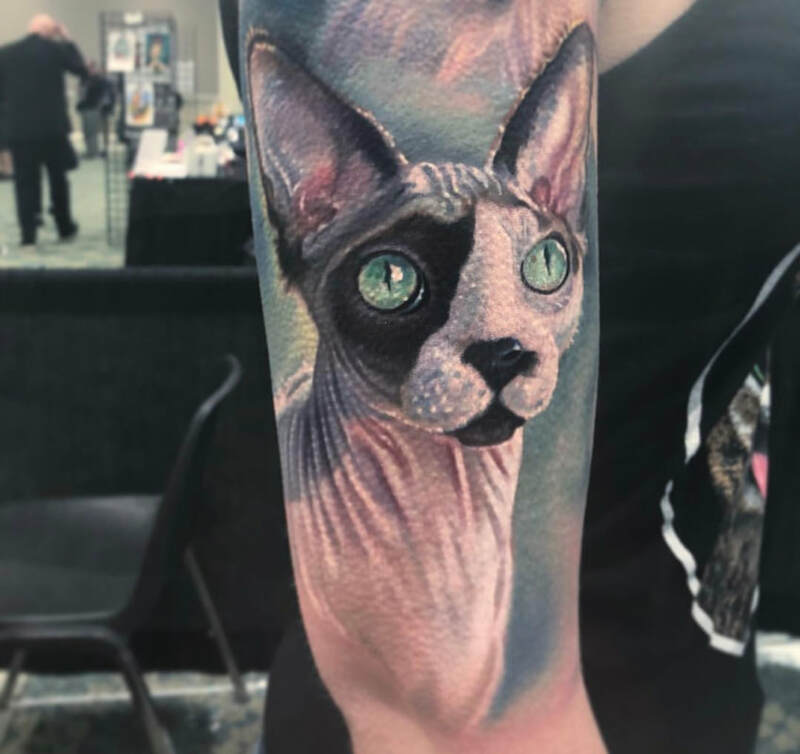 He will make a list of all the ideas, and about 2 weeks before the convention he will go through the list and pick out his 2-3 appointments for the weekend, and his assistant will contact them to schedule. 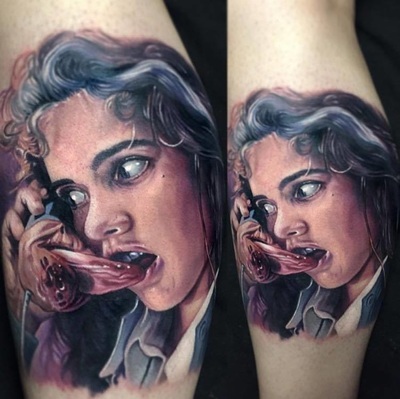 When you fill out the contact form, just make sure to mention which convention you're looking to get tattooed at.